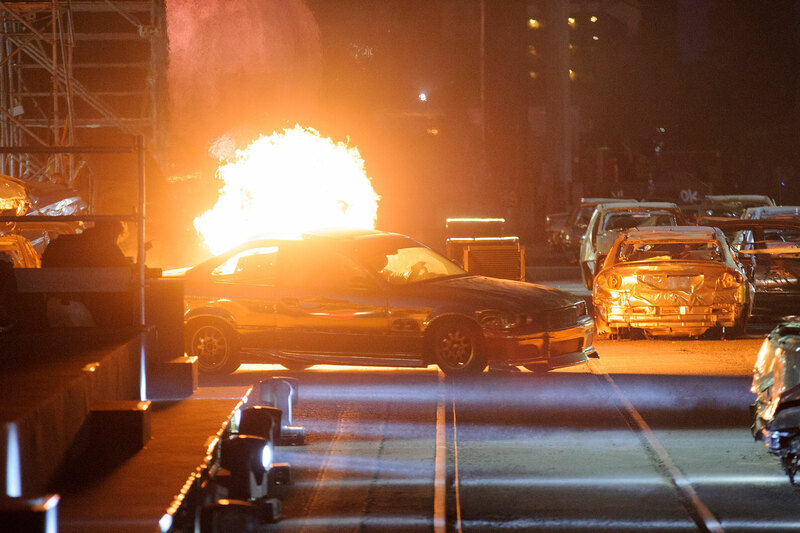 Can you hear that sound? 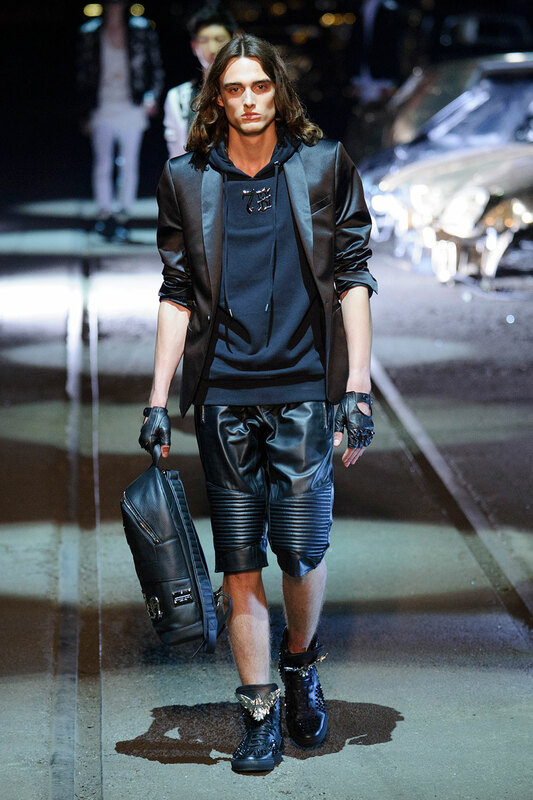 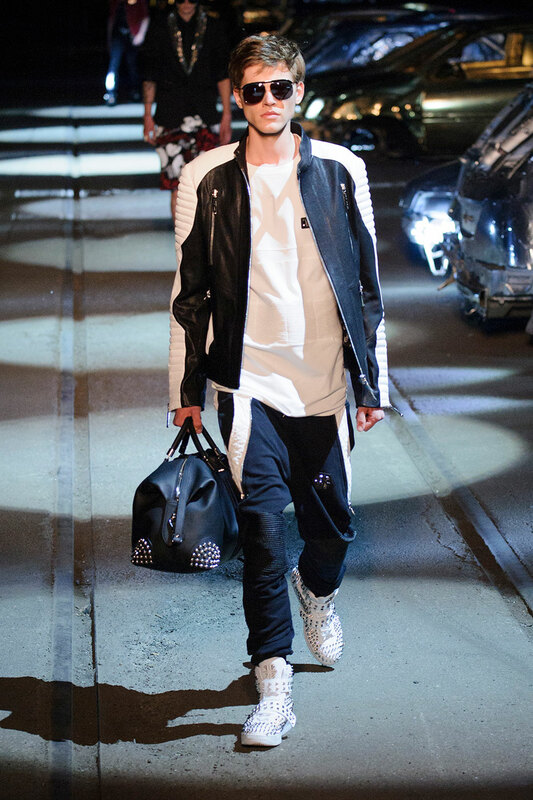 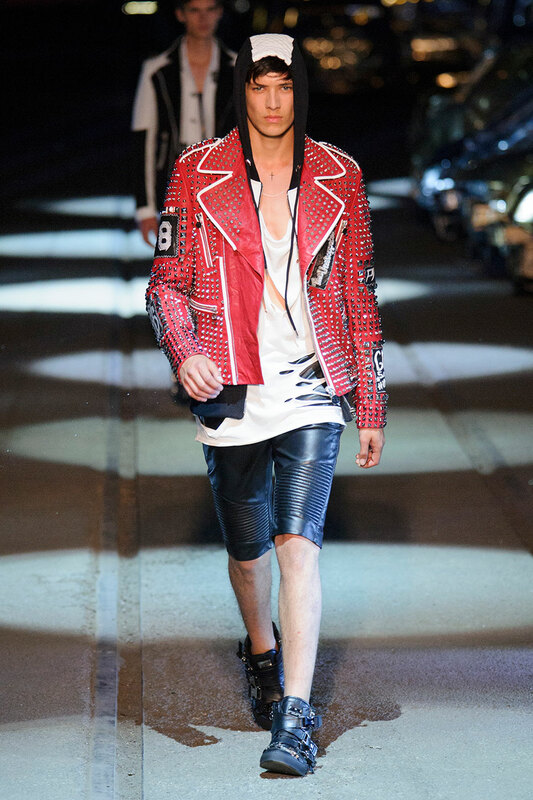 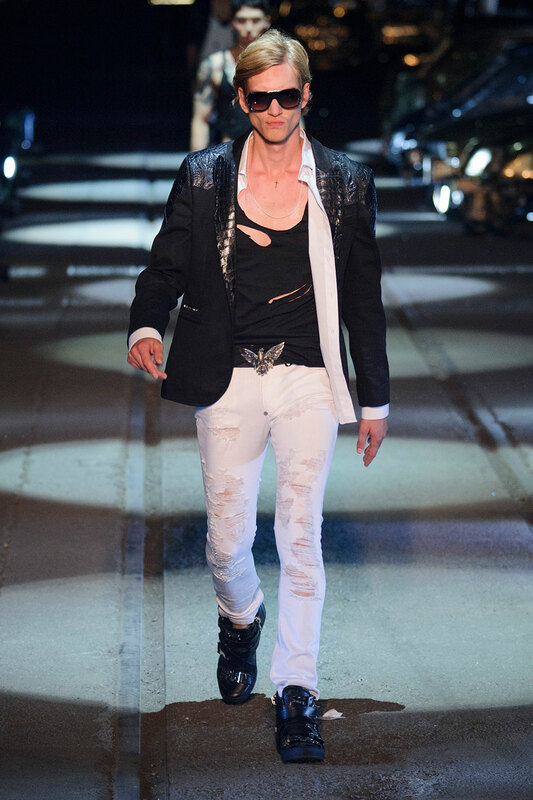 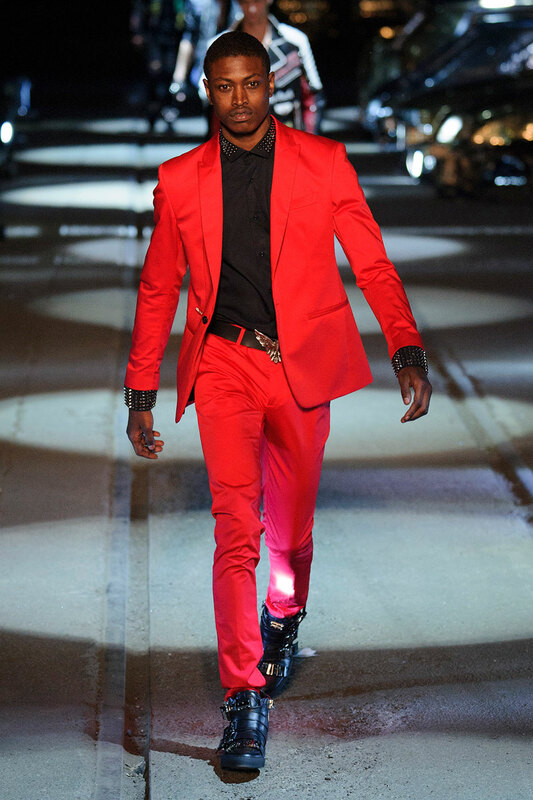 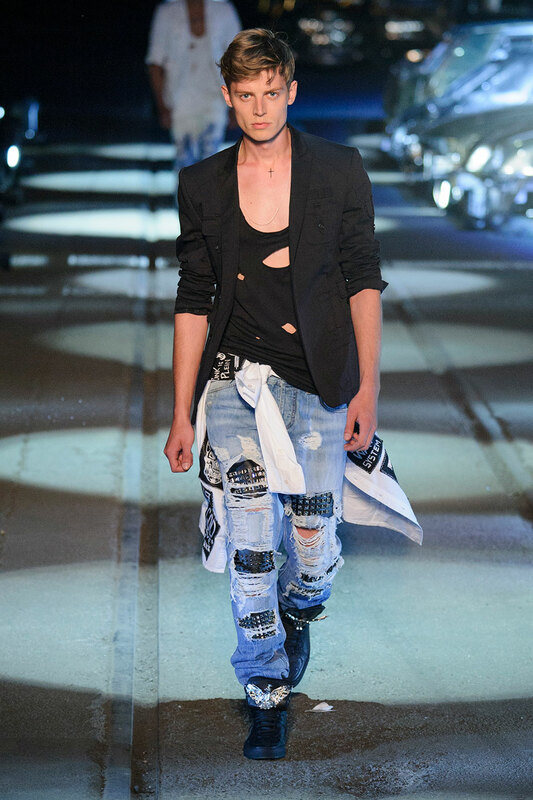 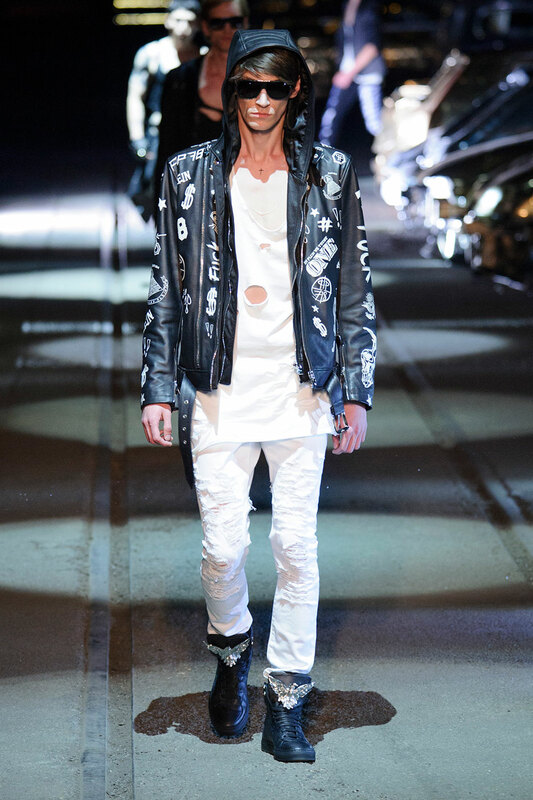 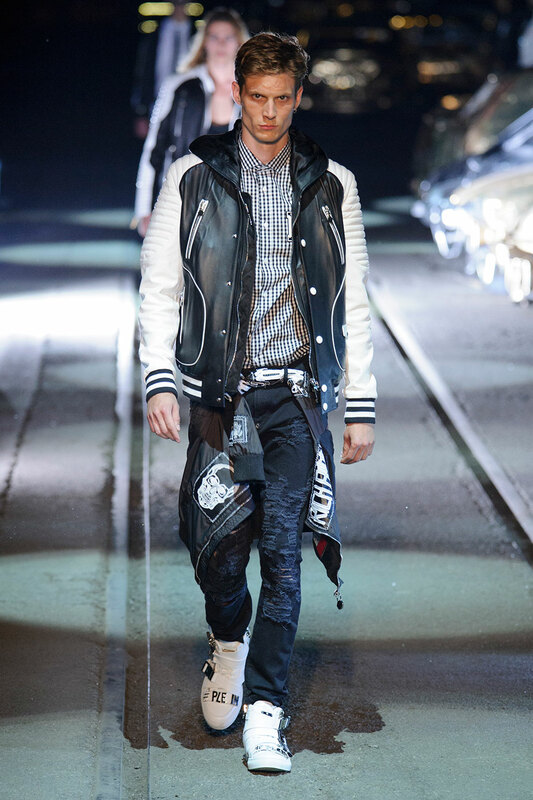 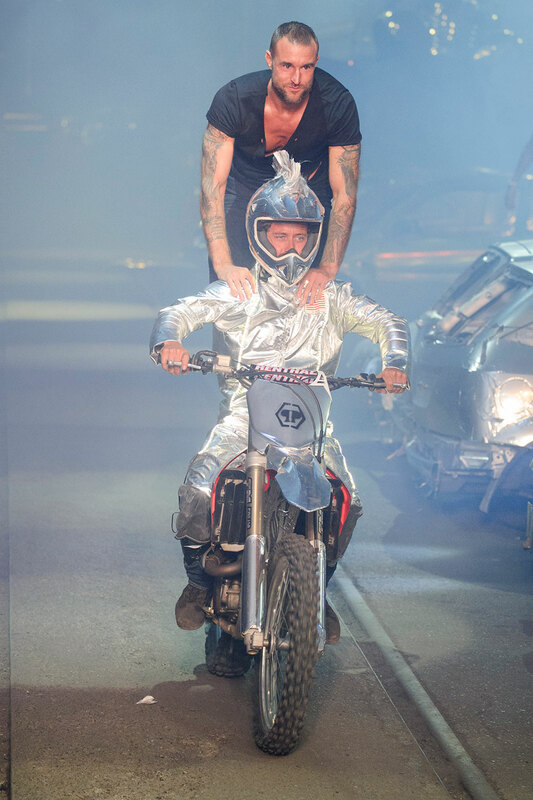 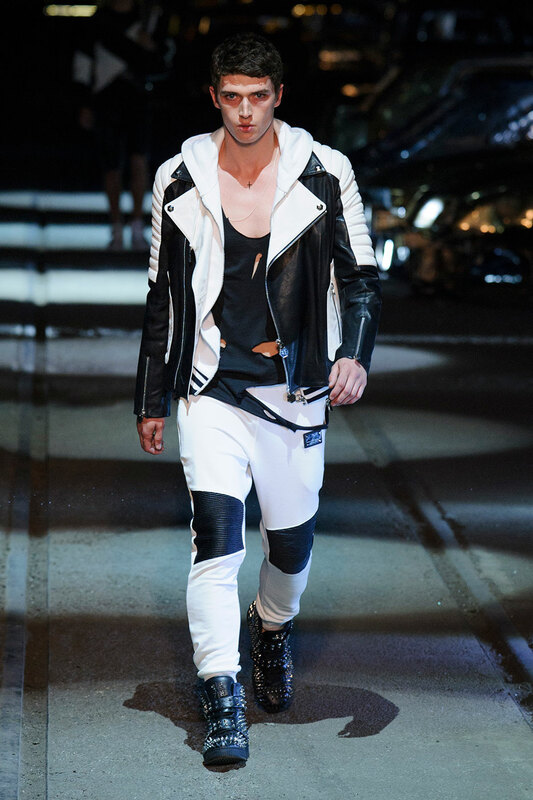 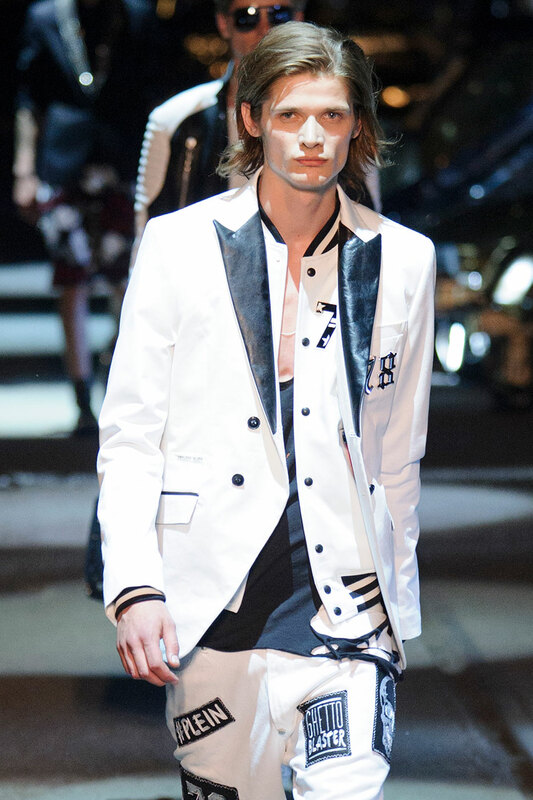 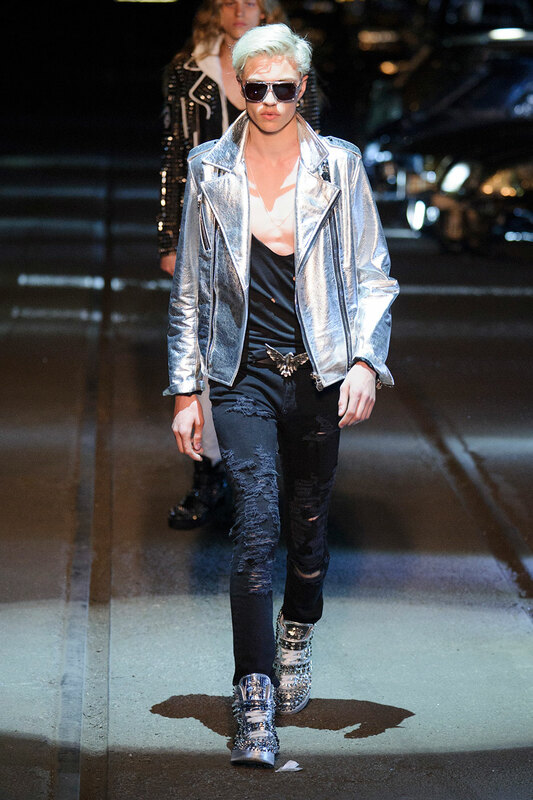 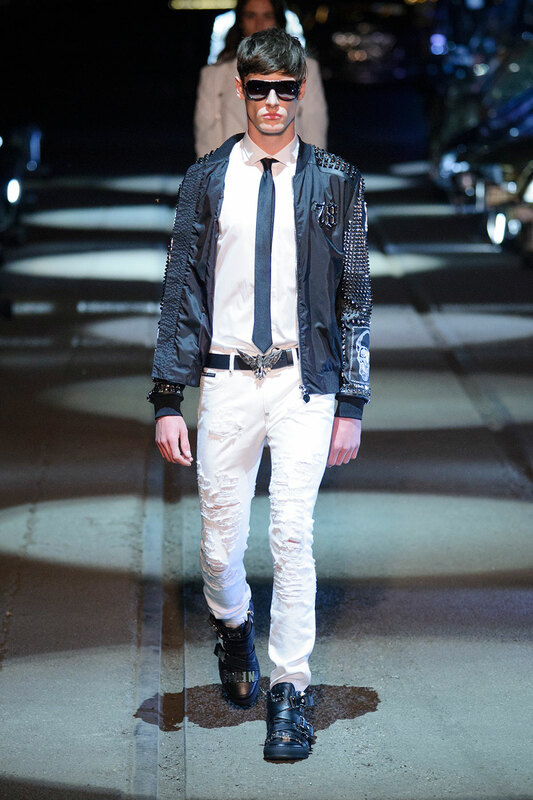 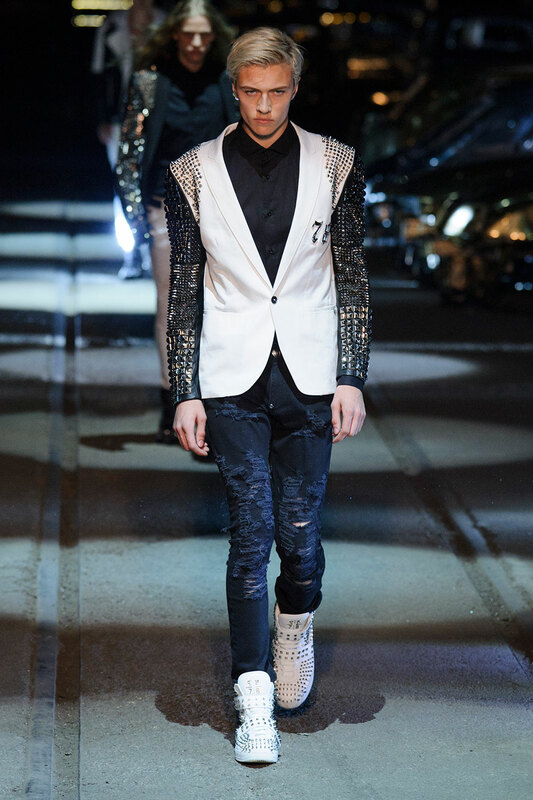 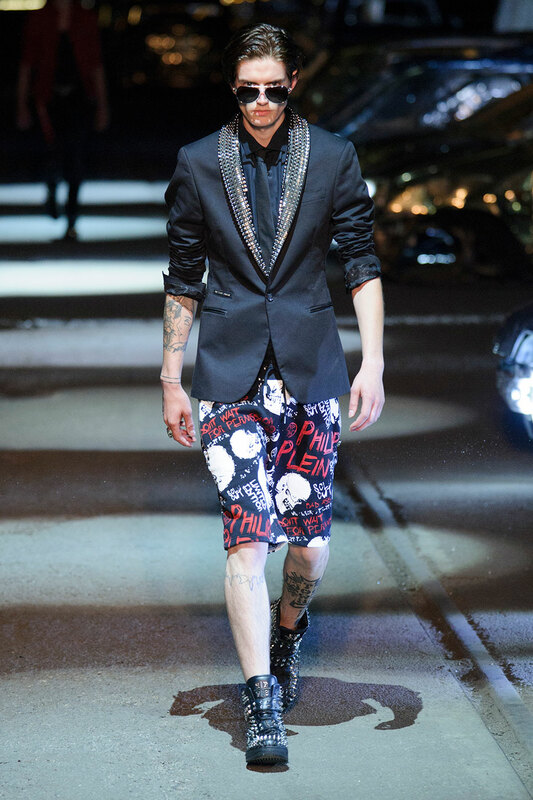 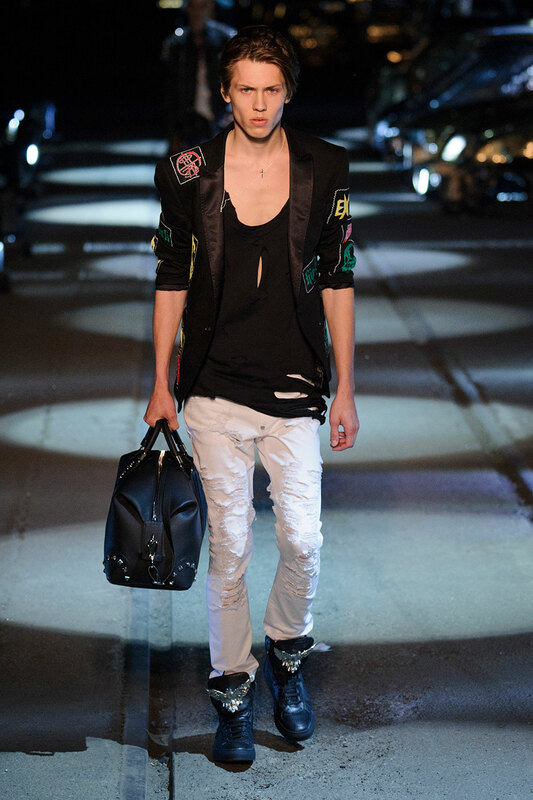 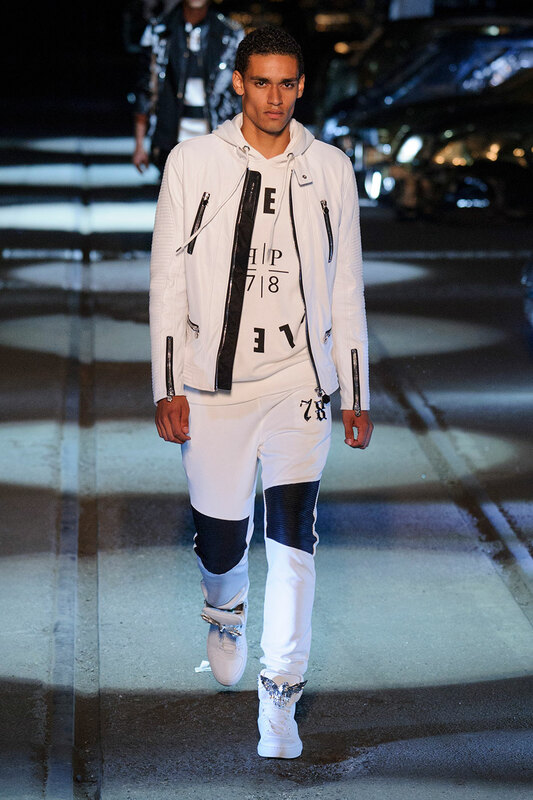 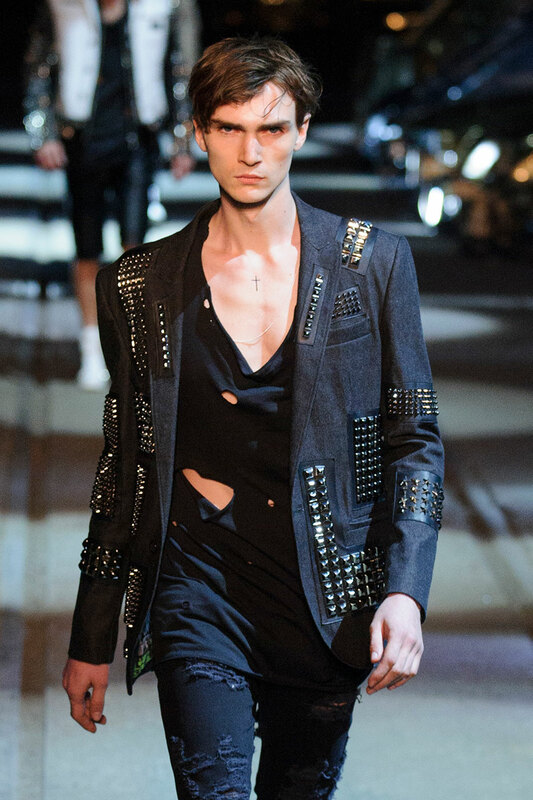 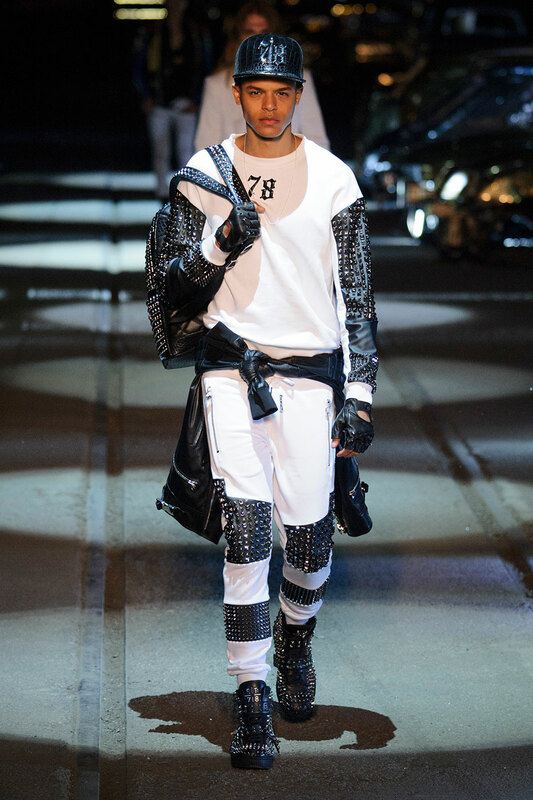 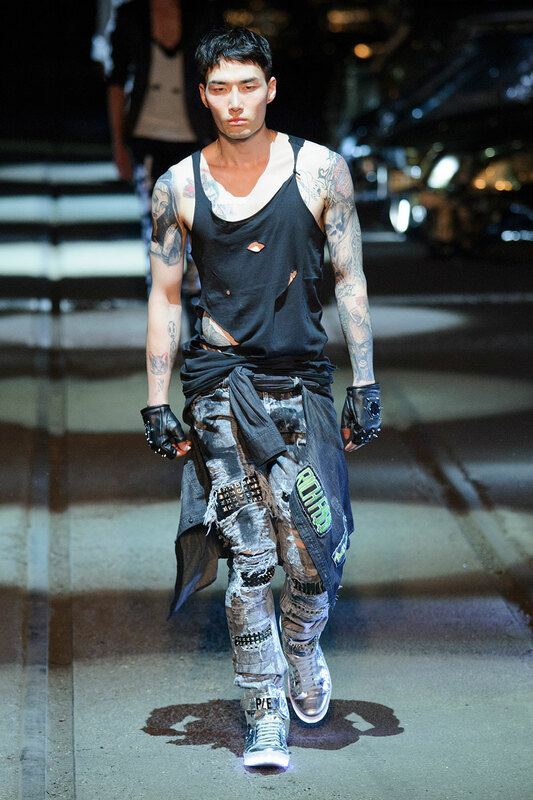 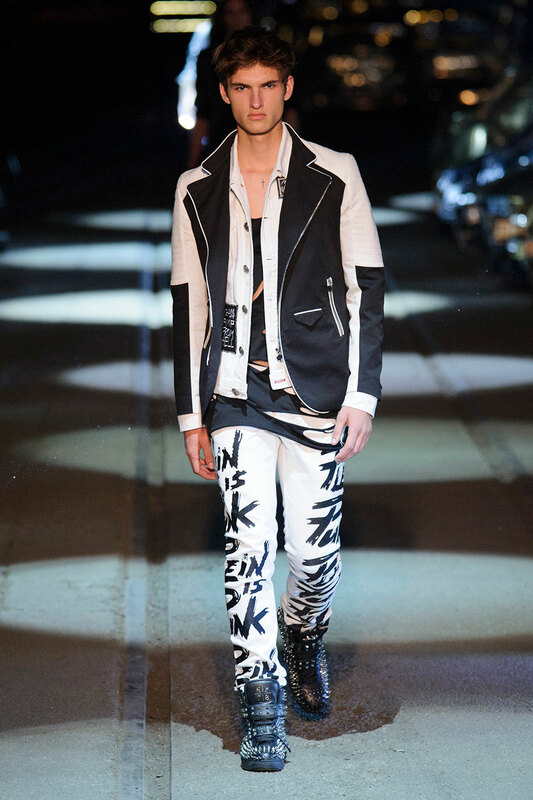 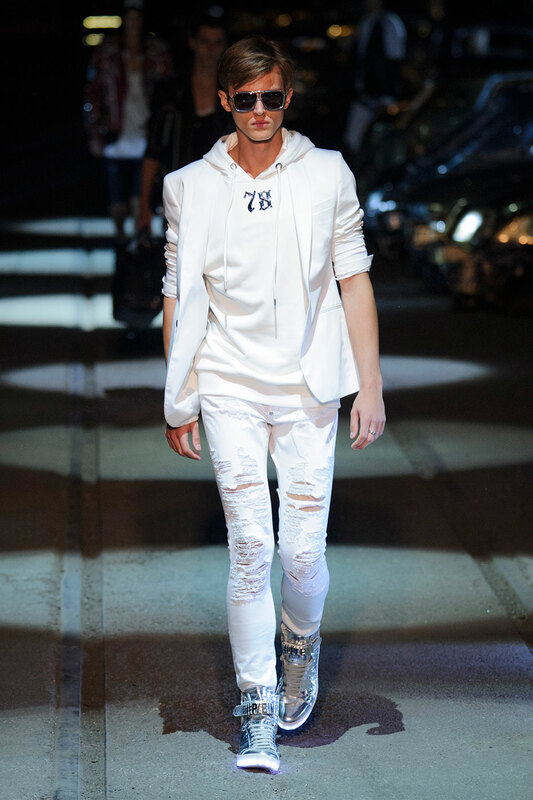 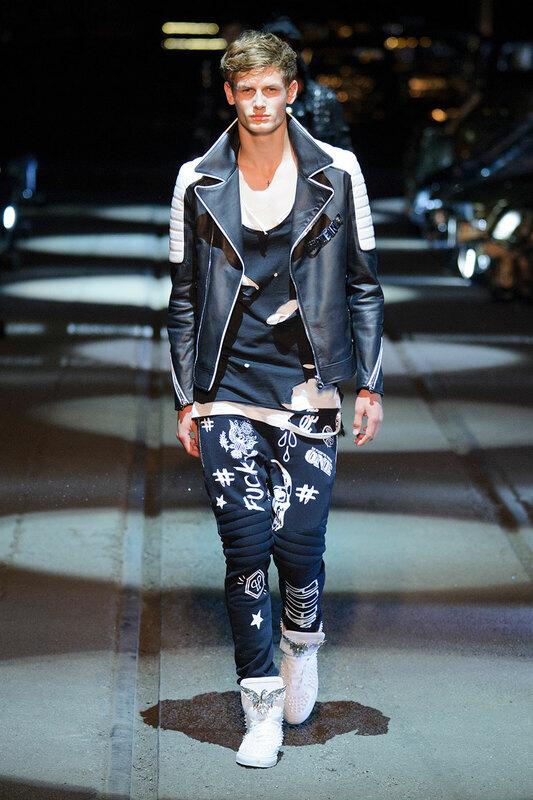 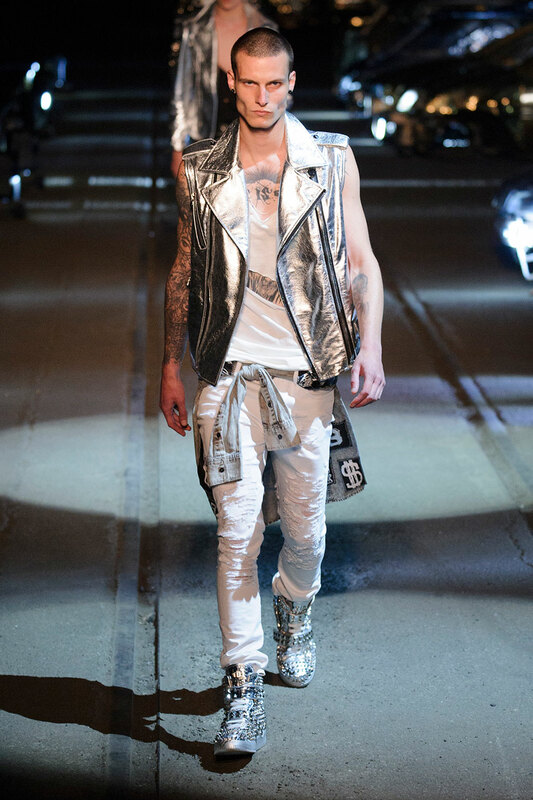 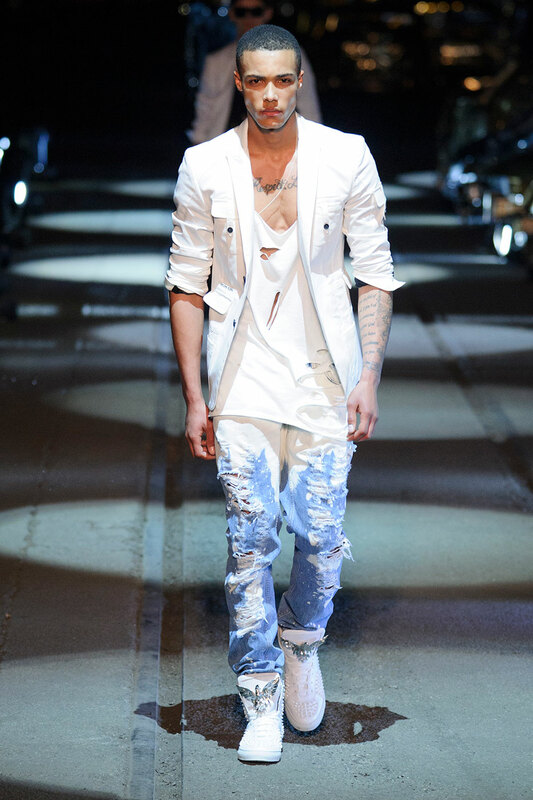 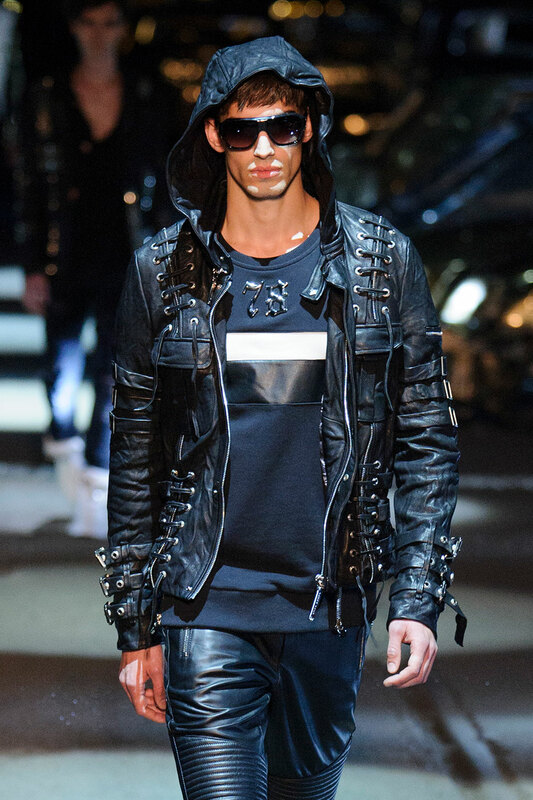 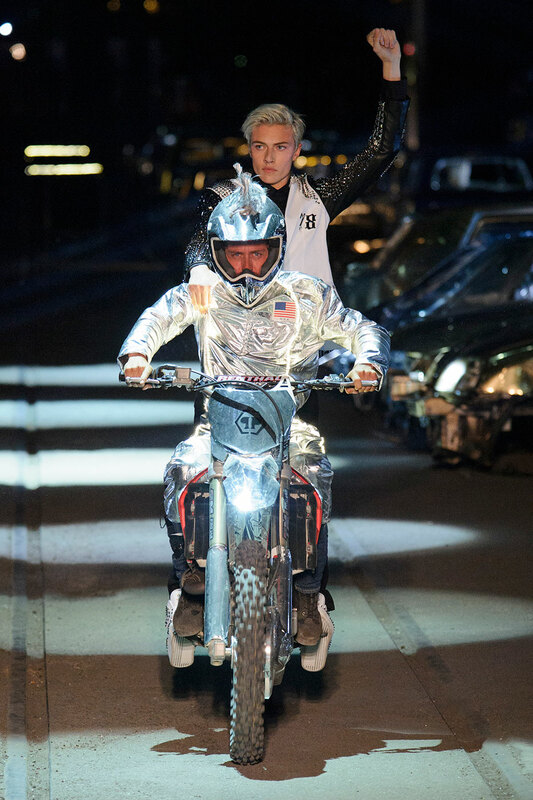 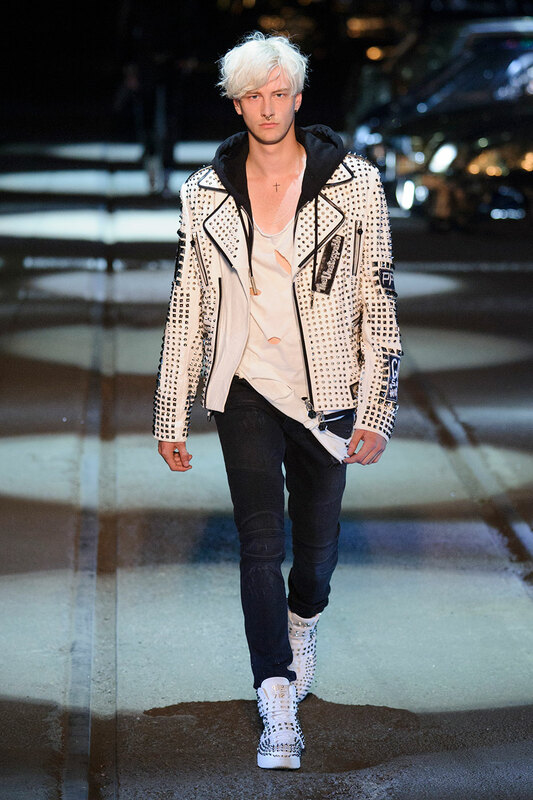 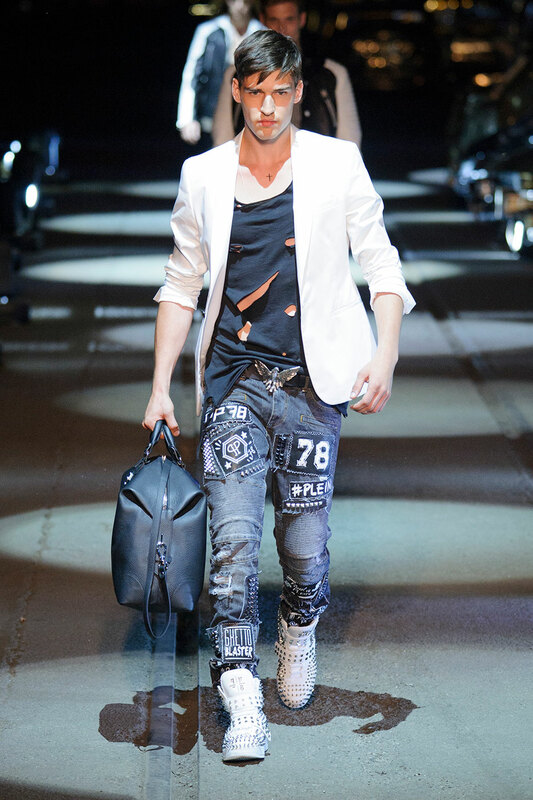 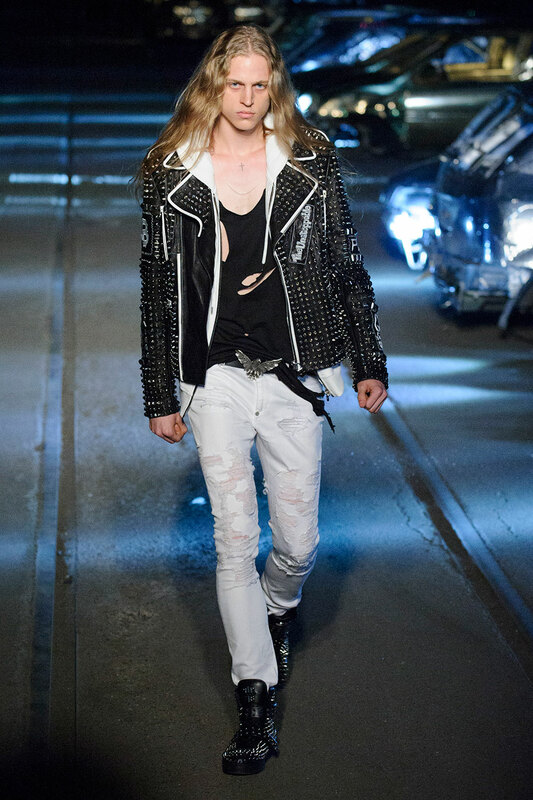 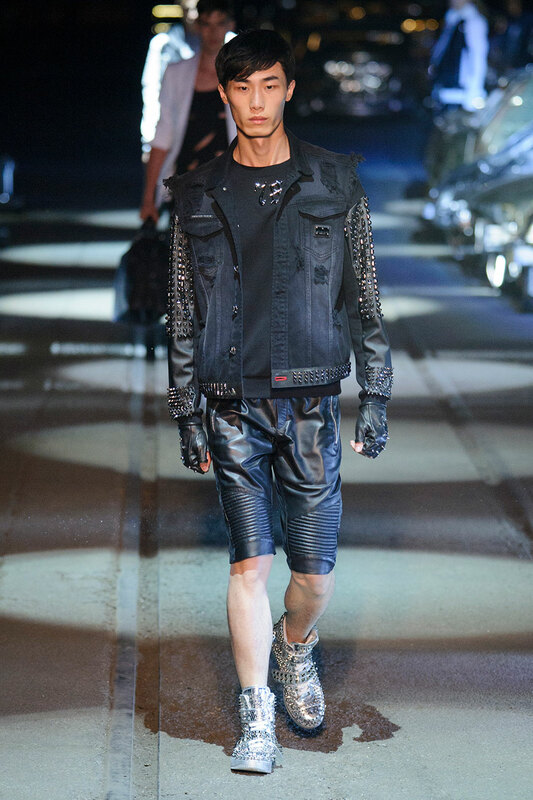 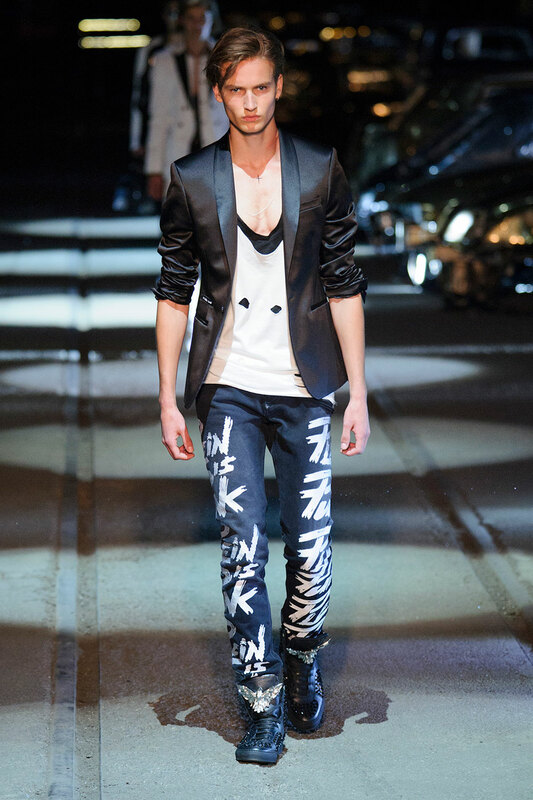 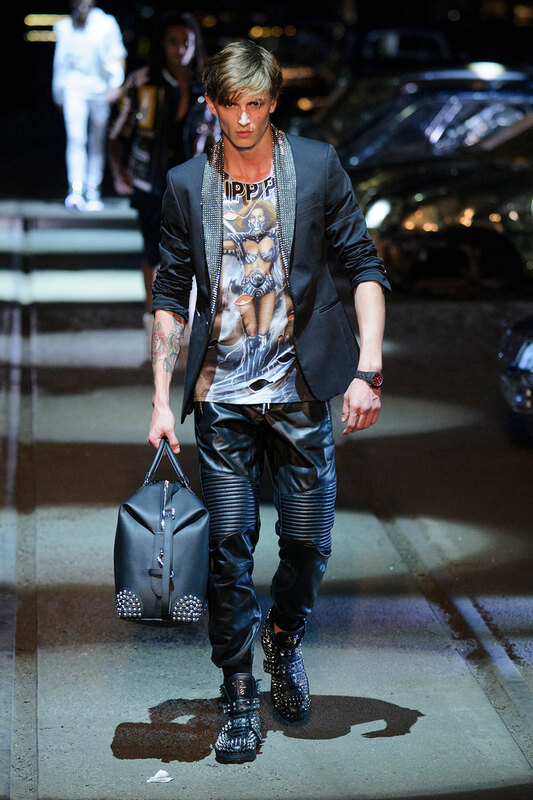 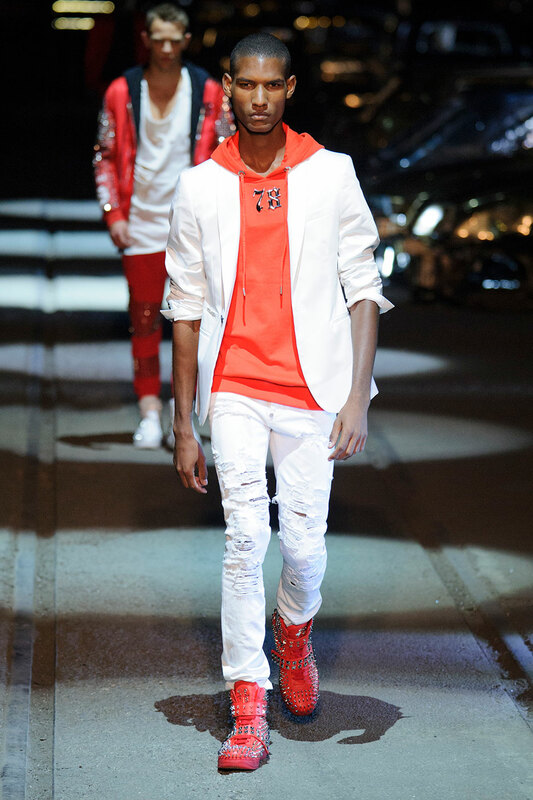 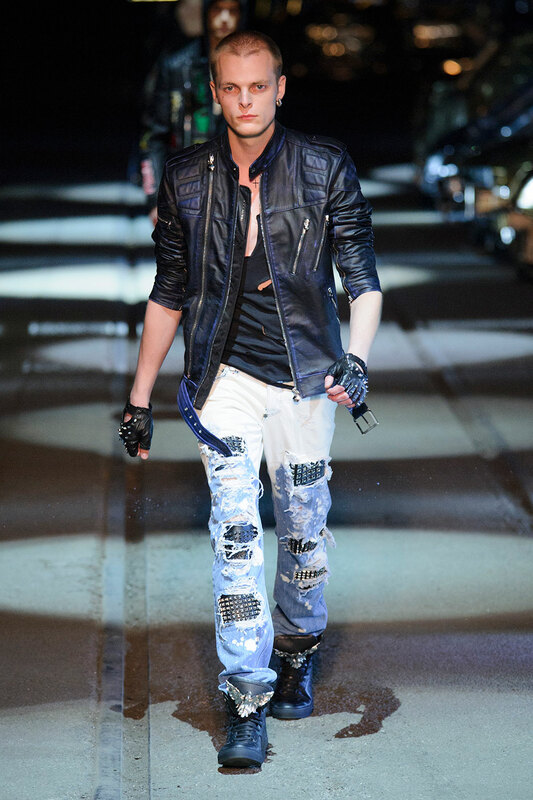 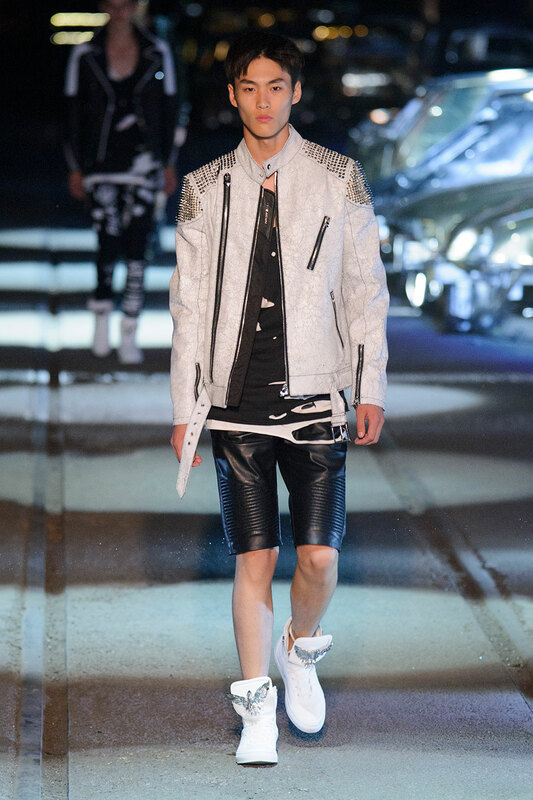 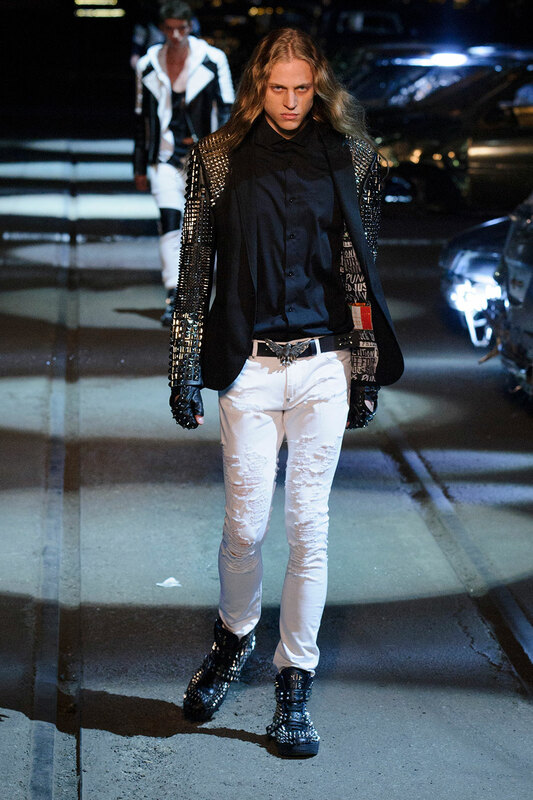 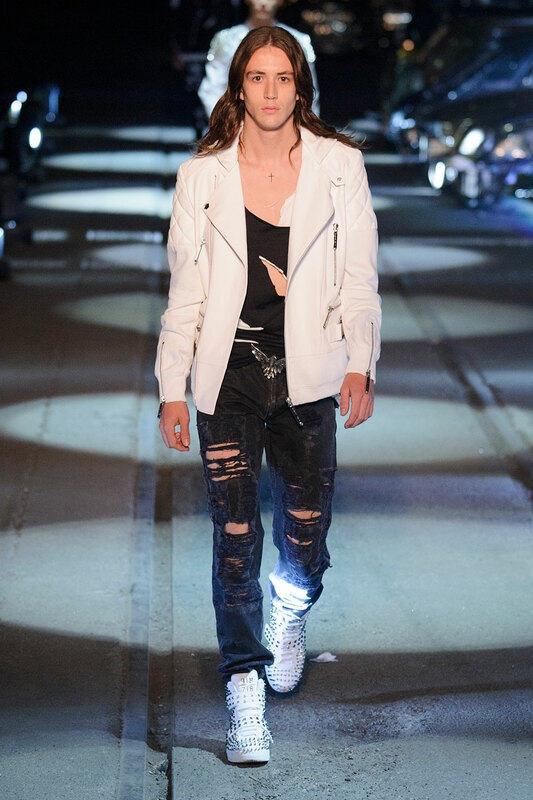 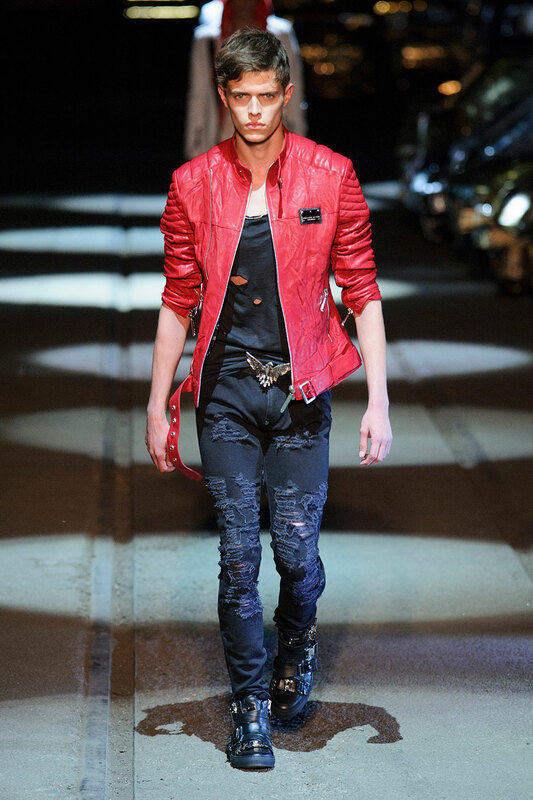 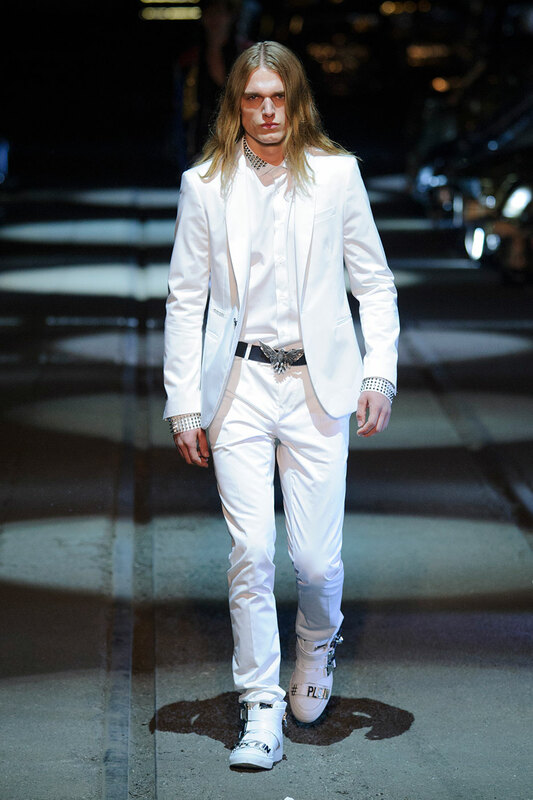 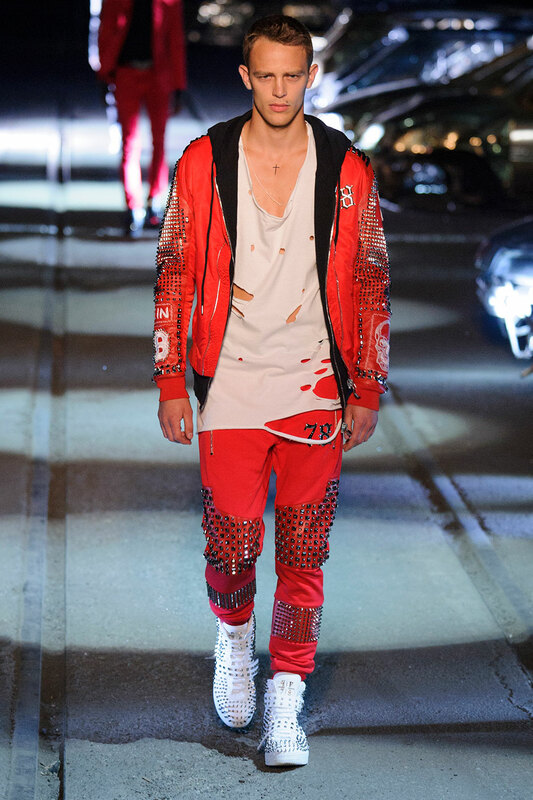 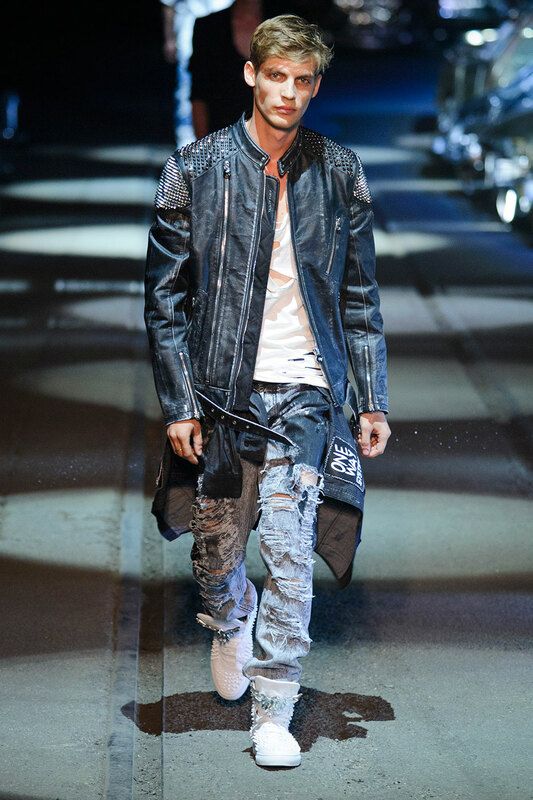 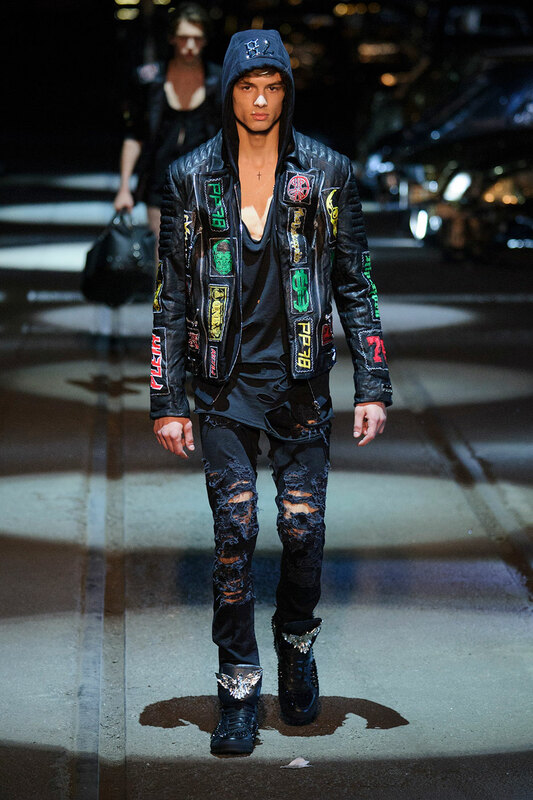 That’s the sound of Philipp Plein’s latest collection revving into Milan, ablaze with glory. 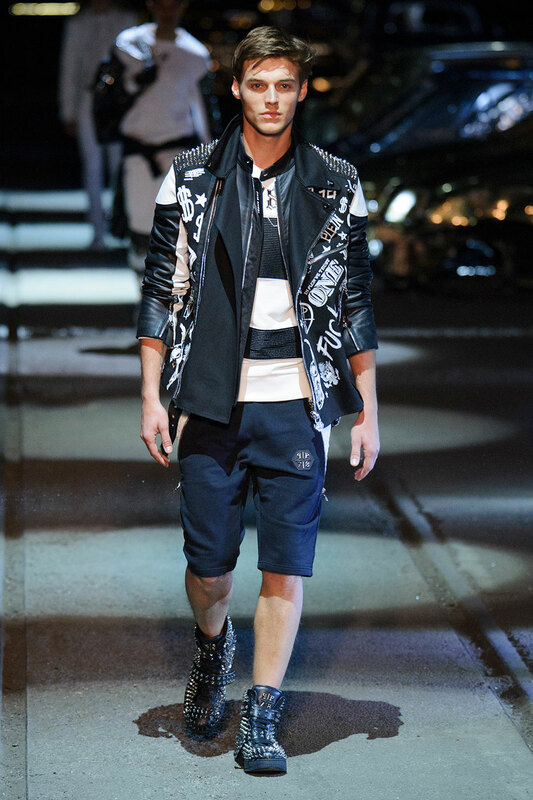 Saving the best until last , the menswear range bursts onto the stage. 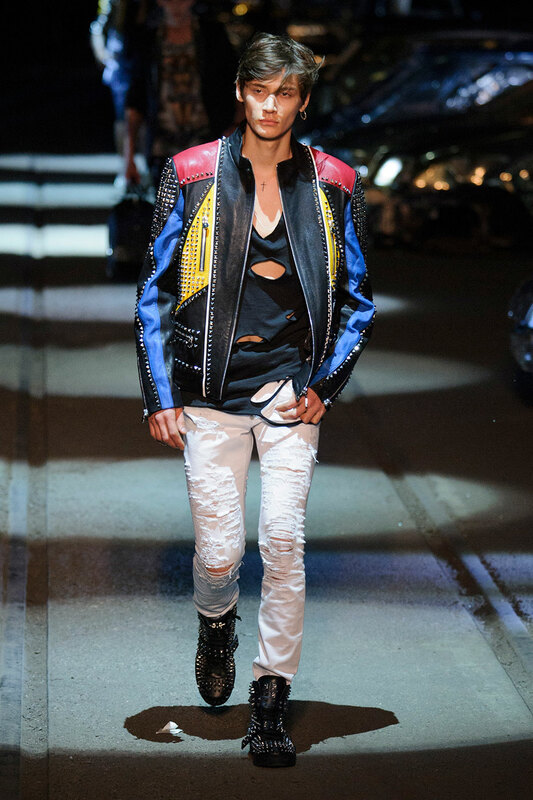 Influenced by punk rock and motor-bike racing , the stand out collection features studded sleeves and matching spiked trainers , ribbed leather trousers and motor cycle jackets. 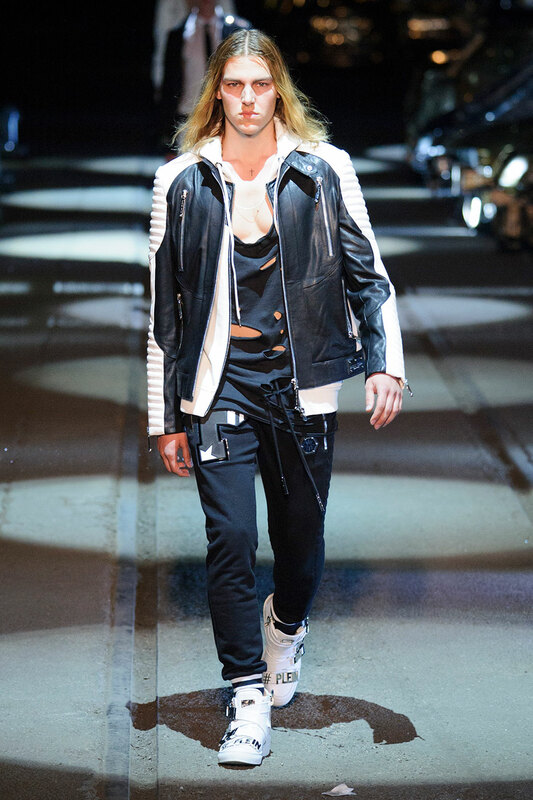 Each look is streamlined to fit the aesthetic of a motorbike: pleasing, surprisingly and undeniably cool. 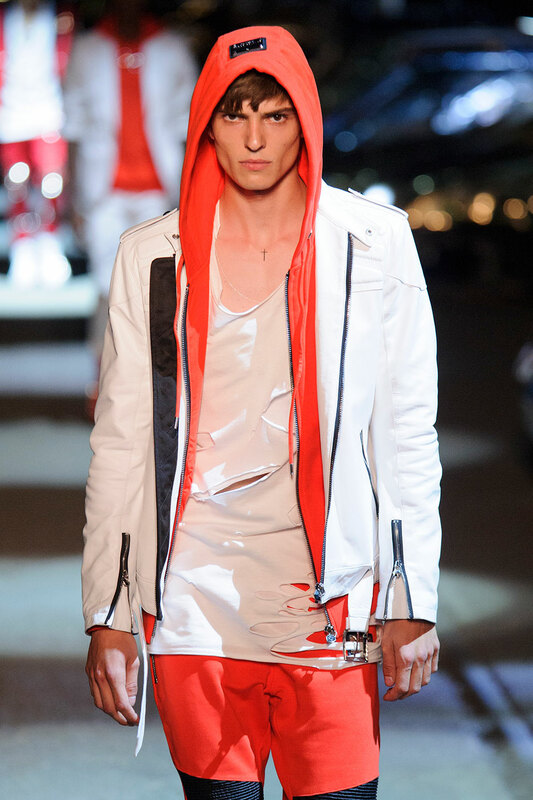 Exaggerated white detailing on the jackets accentuates the pristine white of the ‘Plein’ labelled shoes whilst red and gold studded jackets are teamed with cropped ribbed leather biker shorts to make a stand against conforming to one dominant aesthetic. 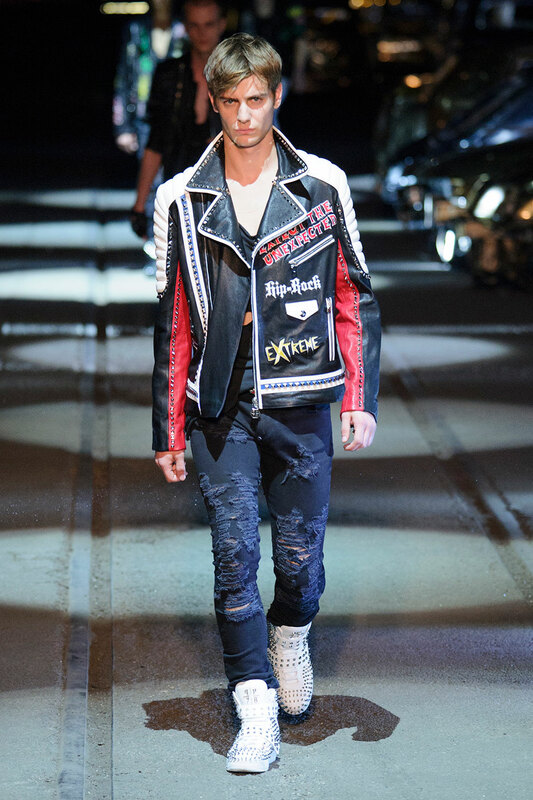 The battle between punk rock and racing is present throughout the collection , allowing the buyer to choose which side they stand on.